The Shazam team pushed out a major update to version 4.0 to Google Play today, bringing an entirely revamped look, along with full tablet support. 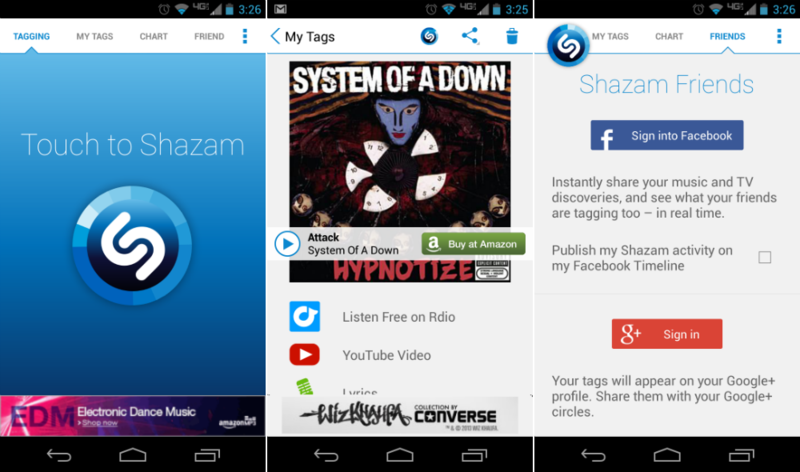 We don’t use Shazam much, but after playing around with it, it seems like a lot of work went into this update, full of great swipe-based gesture controls and smooth transitions throughout the app. After searching for a song, you are greeted with large artwork, plus links to share your recent music tag on social networks and buy the song from Amazon. We would prefer Google Play, but that’s just us. Here is the full changelog for those interested.